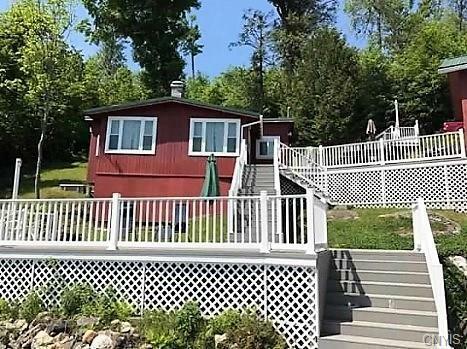 Fully furnished cottage with 125 feet of prime waterfront on Sylvia Lake is located in western St. Lawrence County in the Town of Fowler. This 314 acre lake has a maximum depth of 142 ft and 4.1 miles of shoreline. Enjoy morning coffee and spectacular sunrises from your maintenance free Trex composite deck. 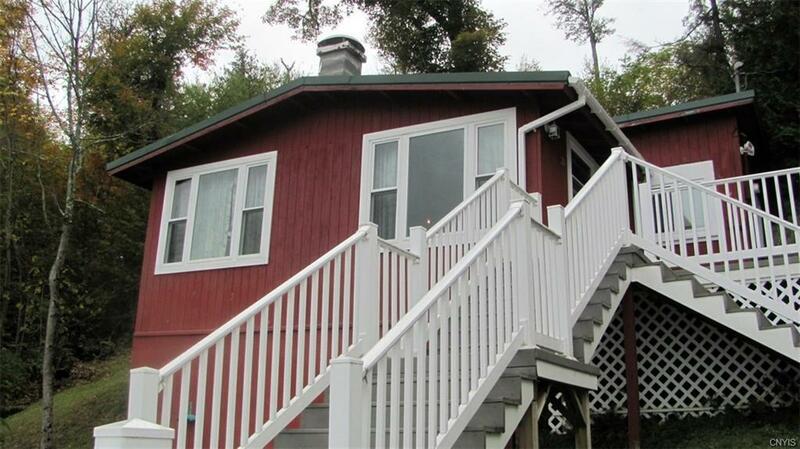 This 2 bedroom cottage has a convenient 16x18 bunk house with half bath just across the deck. 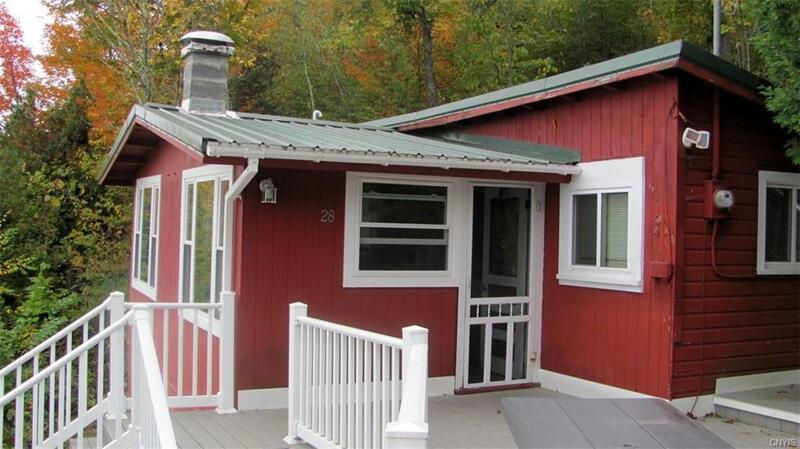 Recent upgrades include 1000 gallon pump up septic system, full spray foam insulation, windows, roof on bunk house, electric, plumbing and baths. A 24 foot aluminum dock and the swing set are included in the sale. 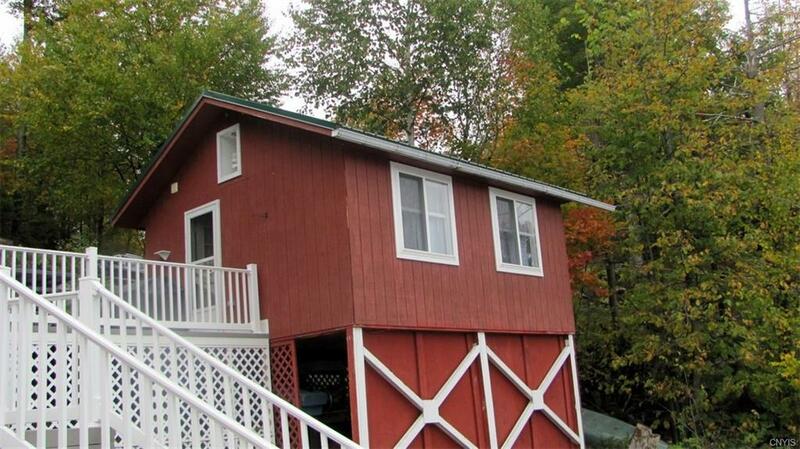 The main cottage is 300+ sq ft with the convenience bunk house being 288 sq ft. Listing information © 2019 CNYIS, GENRIS, WNYREIS. Listing provided courtesy of Lacy Realty.